In 1977 Robert Anton Wilson asked me to write an “Afterward” to Cosmic Trigger, which was his wildly ranging personal Odyssey. I wrote about the things that I had discussed with Bob and Arlen and the off-beat folks I met at his home. This included especially: Uri Geller, Extraterrestrials, Quantum Theory, and Arthur Eddington’s approach to physics. 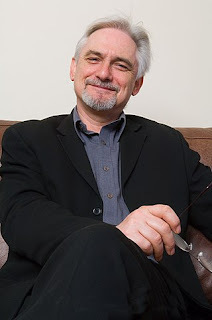 Since 1973 I had been living at the Institute for the Study of Consciousness and working as research assistant to Arthur Young, the founder of this institute (and the preceding Journal for the Study of Consciousness). This institute was only a few blocks from where Bob was living on College Avenue in the Elmwood district of Berkeley. So I visited Bob frequently and took Nick Herbert and other friends to meet him. By 1977, Bob was living up in the Berkeley hills, so I had to take a bus to visit him, but I continued to go there as often as I could. There were, of course, other complementary activities to occupy my attention: The Fundamental Physics Group at Lawrence Berkeley Laboratory and the Physics Consciousness Research Group in San Francisco. You can read about these activities in David Kaiser’s book How the Hippies Saved Physics (2011, Norton). Bob also participated in some of the PCRG activities. He usually presented his inimitable take on Timothy Leary’s SMI2LE program (Space Migration, Intelligence Increase and Life Extension). I didn’t have a television, but I enjoyed watching TV with Bob. He was constantly switching channels between say, Star Trek and some old movie like King Kong. Or between All in the Family and D.W. Griffiths’ Intolerance. He always found that they had thematic correspondences. For example the problem of communicating with alien intelligence as in Star Trek and King Kong. Bob was fascinated by my stories about Uri Geller and Andrija Puharich both of whom I had met in 1973, in Berkeley and on their home turf of New York (See Uri by Puharich, 1974). Their tales of ET contact resonated with some of Bob’s experiences, and those of Timothy Leary and John Lilly. The account I wrote in the “Afterward” is the closest I have come to some semblance of the ET reality. See also my “Notes on Contact” published in Jack Sarfatti’s Destiny Matrix (2002). As Jacques Vallee has emphasized, there is a large psychic component to the ET experience. Certainly this is true of the Uri/Puharich experiences. Also, in accord with Vallee’s ideas, I believe that the ET contact is not from a long distance away but from a hyper-dimensional realm. Nick Herbert. 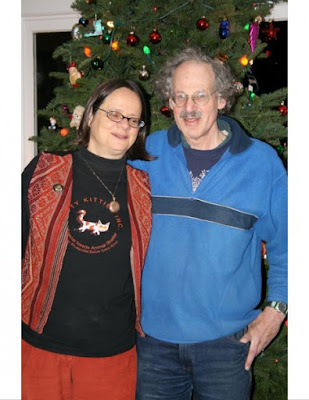 Photo from his blog, Quantum Tantra. Quantum mechanics was a big part of discussions with Bob, especially when Nick Herbert was present. His book Quantum Reality (1985) is still in print and is one of the best descriptions of the kinds of things we discussed with Bob back in the mid-to-late 70s, when John Clauser’s experiments at Berkeley were still fresh. Clauser was a key member of the Fundamental Physics Group, so we interacted with him frequently. There I explained the Von Neumann/Wigner interpretation of Quantum mechanics, which is an elaboration of the standard Copenhagen interpretation. This makes the Observer indispensible to the structure and application of QM. I have been studying Eddington’s works since high school, when my younger brother, David, and I and a close friend had a kind of club studying Relativity Theory by way of Einstein’s writings and especially Eddington’s Space, Time, and Gravitation (1920). Then starting in 1973, when I began working with Arthur Young at the Institute for the Study of Consciousness, I read all of Eddington’s books. Arthur was a great fan of Eddington and his group theory approach to physics. Eddington’s approach was denigrated by physicists who wanted to eliminate the “group pest” from physics. Since then, of course, group theory in physics has become central to our understanding of many aspects of physics, especially the all-important study of particles and forces. String theory has only magnified the role of group theory. So Eddington was on the right track, but too far ahead of his time. Incidentally, my Eddington influenced paper “A combinatorial derivation of the proton-electron mass ratio” was published in Nature Vol. 268 (28 July 1977). Note that the reference in my “Afterward” is not correct, and I had not been able to get it corrected in subsequent printings of Cosmic Trigger. Much of what Eddington conjectured has turned out to be wrong. 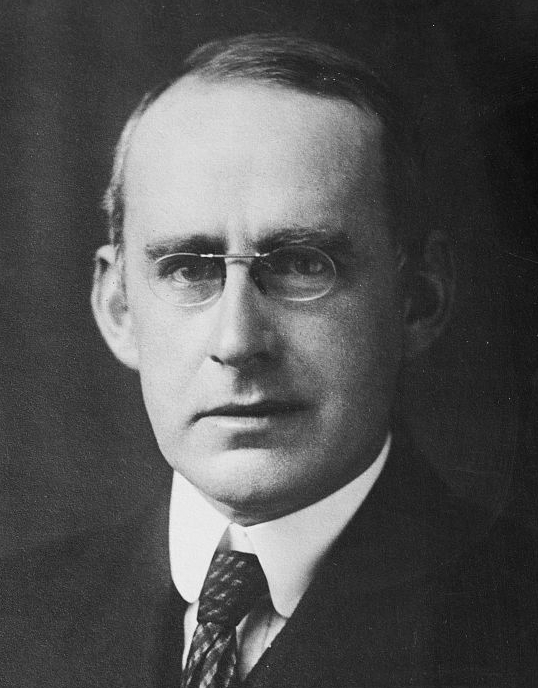 For example in The Philosophy of Physical Science (p. 112), Eddington disparaged the existence of neutrinos. These particles had been conjectured by Wolfgang Pauli and named by Enrico Fermi in 1932. So Eddington, writing in 1939, was decrying the plethora of papers building on this conjecture. However, the physics community by 1939 had made neutrinos an important ingredient of the weak-force theory of the radio-active decay of chemical elements. Because neutrinos have no electric charge and practically no mass, they are very hard to detect. It wasn’t until 1956 that neutrinos were detected in a convincing experiment. So the long wait from 1932 to 1956, left room for doubts such as those of Eddington, who died in 1944 and did not live to see the neutrino idea confirmed. However, Eddington’s emphasis on group theory as fundamental to the understanding of the physical world has turned out to be prescient, even if the particular groups that Eddington favored were not able to point the way forward. The following piece is what I wrote to be read by Nick Herbert at Robert Anton Wilson’s Memorial in 2007. Nick was not able to fit my piece into the very packed schedule at Bob’s memorial. So I am appending it here as my tribute to RAW and his fascination with 23 and 17. As we all know Robert Anton Wilson gleefully observed synchronicities — especially those involving the number 23. I remember Bob telling me that Alan Watts turned him on to the importance of both 17 and 23 throughout history; and thus these numbers thread through Bob's Cosmic Trigger autobiography. One out of 137 electrons would say "Yes." This number, therefore, describes the strength of the electromagnetic force. As Richard Feynman has said, "Every good theoretical physicist puts this number up on his wall and worries about it." When I met Bob in 1976 and learned about his fascination with 17 and 23, I wondered if 137 could be fit into the grand conspiracy of these numbers. After all so much of physical reality depends on the electromagnetic force and therefore on 137. In 1980, while I was talking with Bob on one of my many visits to his home in the Berkeley hills, I mentioned the hot new mathematical scheme called public key cryptography. These schemes depend on a trap-door feature described as easy-to-fall-in but hard-to-climb-out. Thus we have a scheme for easy encoding, and nearly impossible decoding without the secret numbers. John James, a computer programmer who was present, immediately showed me an article in ROM magazine that spelled out the algorithm for a version of public key cryptography called RSA. It depends on the extreme difficulty of finding the prime factors of large numbers. Any message can be considered as a number, as for instance this entire sentence codes as a binary number in any computer. OK, take that number, call it M (for message) and multiply it by itself x times. Call x the encoding power. Now take the huge number, M to the x power, and divide it by the product of two prime numbers, p times q. (For secure trap-door coding, these prime numbers p and q would have around 100 decimal digits each.) Throw away everything but the remainder in this division of M to the x power by p times q. Label this remainder C, and call it the encoded message. How can we decode this message? We will need a secret decoding number called y, which we can apply to C by multiplying C by itself y times. Then we can recover the message M by dividing C to the y power by p times q, and again keeping only the remainder. This remainder is guaranteed to be the original message M — provided that we have created a certain (very important) relationship between x and y. It must be set up that x times y leaves the remainder 1, when we divide x times y by (p minus 1) times (q minus 1). We must keep p and q secret also, so that the secret decoding power y could not be calculated. The encoding power x and the product of p and q should be made public in this Public-Key Cryptography scheme. Got that? OK don't worry, I'll show you an example — actually the very first example I tried on my pocket calculator. With no concern for security, but merely wanting to see this magic trap-door scheme in action, I used Bob's 17 and 23 as my two prime numbers p and q — you knew they were going to pop up about here in my story! Then I set up my favorite number 137 as the only message I wanted to send on this very first test. I had to choose an encoding number, so I chose 5 (for the Discordian Law of 5). Actually, as it turned out, I could have chosen any odd number and gotten the same startling encoded message. So take 137 and multiply it by itself 5 times, and divide by 17 times 23. Throw away the answer except the remainder. The remainder — big surprise! — comes out as 137. So the message 137 codes as itself — transparent to the trap-door coding scheme of the secret prime numbers 17 and 23. I showed this wonderful synchronicity of numbers to Bob, and he just roared his gleeful laugh. I have to think that Bob in his last year of life had many gleeful chuckles over the discord among astronomers in naming the 10th planet —first named Xena by its discoverer in 2005, but later designated a dwarf planet in 2006 and named – of all possible names – Eris! Farewell, Bob – to Eris – and beyond! Thank you, Saul-Paul, Charles, and Tom. I really enjoyed this week's post. Uri shows up tangentially in one of my favorite books, I, Wabenzi by Rafi Zabor. I had been out of the country for a while, and that beautiful house just south of Kensington is where Bob told me about Bell's Inequality, which made a tremendous impression. And it was heartwarming that he got to see "Eris" -- AND "Dysnomia" -- named. Harry Smith mentioned on p. 248 as someone indirectly responsible for turning Temple on to the Dogons and Sirius was an extremely interesting and influential eccentric genius. His 6 record Anthology of American Folk Music, basically his collection of 20's, 30's and 40's american folk songs, strongly influenced the folk revival and had a major influence on artists like Bob Dylan and the Grateful Dead. The Grateful Dead gave Smith a yearly stipend to help with support in the last years of his life. He was also a bonafide Thelemic heavyweight reportedly having studied magick with Frater Achad and another student of Achads. He was part of the Weiser's bookstore and publishing scene and one of his designs was used to illustrate the cover of The Holy Books of Thelema. 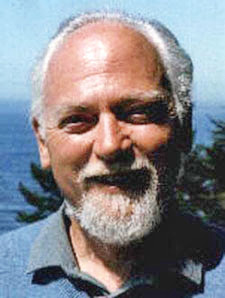 Smith was a close friend of Alan Ginsberg and was the magick adviser in the effort to levitate the pentagon. I also believe he was a friend with the young Patti Smith because they were both residents of the infamous Chelsea Hotel (located, of course, on 23rd Street) at one time. There's a great book about him called American Magus. I'm not surprised that something he did would ripple down and influence RAW's researches. It's interesting to me that Cosmic Trigger ends with 666. The best Qabalistic explanation I've heard is the account Crowley gave when asked to explain why he identified with 666 by a judge in a libel trial. Crowley told the judge that 6 is a solar number and that 666 was simply three 6s. "You can call me Sonny," he told the judge. "You can call me Sonny." Thanks for the commentary, Oz. Always enlightening.